This One Is For Me (109/365 v2.0) – Annoyingly Boring? Sometimes my shots/posts are just about documenting silly, small events. I know down the road I will be wondering when I got my new phone. The answer is May 21, 2009. 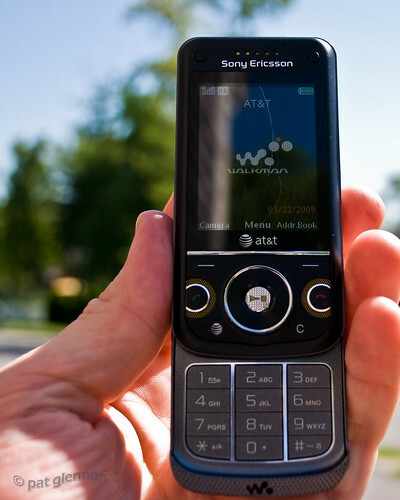 Sony Ericsson w760A from AT&T. My second Walkman slider in a row. I am a Sony Ericsson guy for sure.